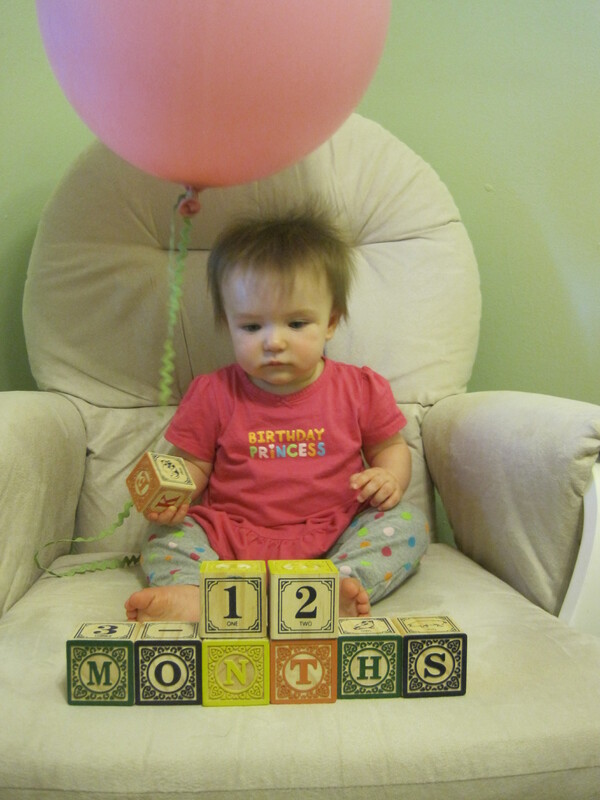 Miss M is 20 lbs (30th percentile) and 29.5 inches “tall” (75th percentile). She claps, points, waves, furniture surfs, walks with assistance and is starting to be very verbal even though we don’t understand her “words.” She loves talking on her fake cell phone and walking behind a push toy (not at the same time). Her favorite is opening and closing doors and cabinets. This entry was posted in Birthdays, Miss M.. Bookmark the permalink. 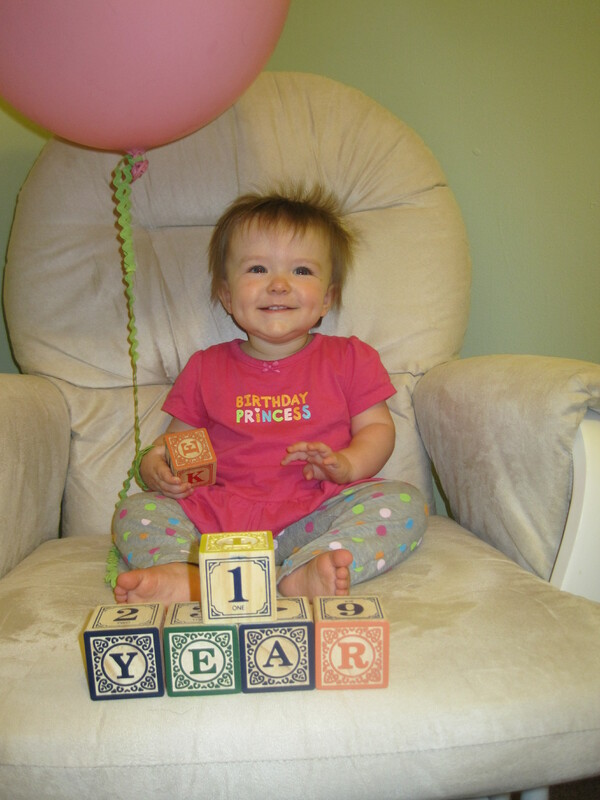 She is so proud of the 1 year! Love it.